THE EDINBURGH TV FESTIVAL IS THE BIGGEST AND MOST PRESTIGIOUS MEDIA EVENT IN THE UK. WE BRING TOGETHER ALL PARTS OF THE TELEVISION AND DIGITAL WORLD TO CELEBRATE CREATIVITY, DIVERSITY AND INSPIRATIONAL TALENT IN OUR FIELD, AND TO DEBATE THE MAJOR ISSUES FACING US AS AN INDUSTRY. THE FESTIVAL DRAWS AROUND 2000 DELEGATES FROM THE MAJOR NETWORKS AND PRODUCTION COMPANIES INTERNATIONALLY. EARLY BIRD PASSES NOW ON SALE! 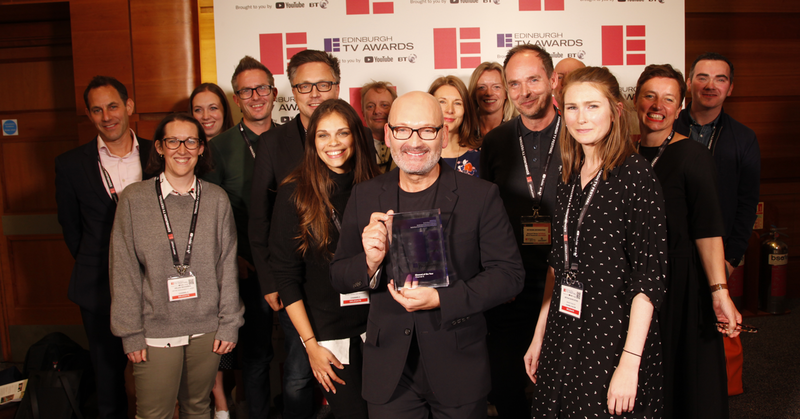 The TV industry’s brightest new creative talents were celebrated at the second EdTVFest New Voice Awards on Tues 26 Feb, and the winners announced. At the ceremony, hosted by actor, comedian, rapper and influential digital talent, Michael Dapaah, awards were presented in a range of disciplines including two new categories: Best Agency for New Talent and the Stage to Screen Award. Check out our full list of winners. In their 18th year, the TV Awards 2019 are open for entries! With three new categories this year stands to be the biggest yet, showcasing the outstanding talent, and incredible breadth of genres and creativity that broadcasters, production companies and platforms produce year after year. Read more about this year’s awards and how to enter. The Network is our free entry level scheme which gives people their first taste of the television industry through masterclasses and practical workshops at Edinburgh, covering everything from pitching new formats to commissioners to scripting an episode of Casualty. Entrants are selected, assessed, mentored and trained by top producers and supported year-round with Network at Work placements with broadcasters and indies. Ones to Watch is the Festival’s senior talent scheme for people with more than three years of professional TV experience, looking to take the next big step in their career. The 30 individuals are assessed by TV professionals and benefit from a full delegate pass and accommodation for the TV Festival, a challenging and unique series of exclusive OTW workshops and masterclasses, year-round events and mentoring.